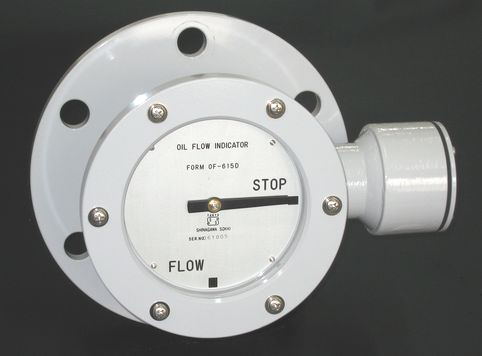 This product is installed the cooler for transformer and used to monitor the flow rate of the oil. This gauge indicates STOP and FLOW of oil flow. Electric contact device switched on STOP is provided.